Under the blessings of the President Pranab Mukherjee, a galaxy of Indian leaders would unveil a `book-bridge` between India and China based on a pilgrimage to Kailas Manasarovar. The Speaker of Loksabha Smt Sumitra Mahajan shall release the book in presence of Defence Minister Shri Manohar Parrikar a Chinese edition of Odyssey in Tibet , the very first book selected by Chinese govt to publish under its "Understanding India ` series, under the academic programme of Sichuan University`s Institute of South Asian Studies. 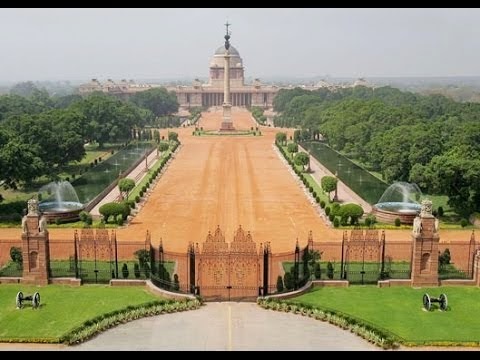 The programme is to be attended by senior diplomatic corps and Ministers , MPs apart from India China scholars, the release is slated on Monday afternoon at the newly inaugurated Rashtrapati Bhawan auditorium A delegation of senior editors and academicians has already arrived in Delhi . In his message to the book the President has said-" India China relations have witnessed all round progress in the past years. Both our countries stand out on the threshold of a leap into an exciting phase of global exchange, where harnessing of ideas and resources for global welfare can serve as a major pivot for world peace and welfare. I am confident that the book will contribute to further strengthening relations between our two countries and wish the book every success." Former NSA Mr Shiv Shankar Menon has written a special commendation note for the book which says,` The Chinese edition of the book, like the Yatra itself to Kailas Manasarovar, will be one more bond between India and China. The book will no doubt will contribute to furthering the understanding between our two peoples.As India and China confidently enter the twenty first century this book is a reminder of the deep historical roots of the relationship between our two peoples and civilisations." This is the very first Chinese book being inaugurated in the Rashtrapati Bhawan post independence by the top political leadership of India. Tarun Vijay is a celebrated author, journalist and a columnist for more than 22 newspapers in India in five languages. He is Member Parliament from Uttarakhand and also President of the Parliamentary Group on India China Friendship comprising of senior MPs from Loksabha and Rajyasabha. His book on the Prime Minister Modi too has been published into Chinese, running in its second edition.